#4 Triglyceride (TG) or ethyl ester (EE) omega-3s? 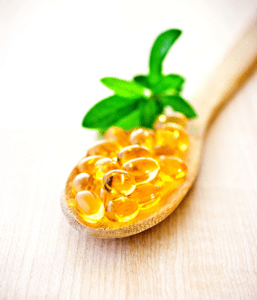 What makes fish oils so special? 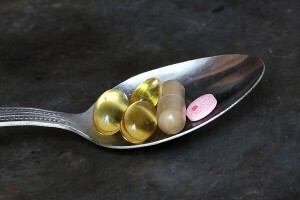 Why are fish oils one of the most popular supplements consumed by Americans? 1 Most importantly, how do you know which fish oil is best suited for you? When it comes to fish oils, with so many brands on the health food store shelves, it is a hard decision to choose the best high-quality product. 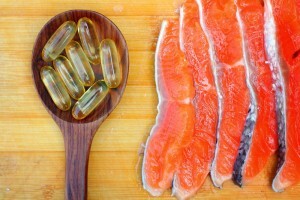 To help, here’s my guide to choosing the best omega-3 supplement for you. The primary reason for choosing fish oil supplements is they are an excellent source of omega-3 fatty acids, including eicosapentaenoic acid (EPA) and docosahexaenoic acid (DHA). Fish oils come from the tissue of oily fish such as salmon, mackerel, herring, or sardines. These fish contain high quantities of omega-3 which is very beneficial for our health. Our bodies cannot produce this ‘essential’ fatty acid, so we need to get omega-3 from our diets. The best way is to eat foods rich in omega-3s, like oily fish, or to supplement. What should you look for when choosing a brand of fish oil? The best quality supplements should be pure, from a sustainable source, and have at least 1,000 mg EPA+DHA omega-3 fatty acids per serving. Let’s break this down so you know what information to look for on the labelling. The quantity of EPA+DHA per serving will be listed on the label; ideal quantities to look for are 180mg EPA, 120mg DHA per 1000mg capsule of fish oil. As a result, opting for a greater quantity of EPA+DHA per capsule means you get a more quality fish oil. Over-fishing of an individual species of fish can be catastrophic to the ocean ecosystem. When taking fish oils, a key point is a product that uses sustainable practices. Make sure to look for a brand that’s certified as fish oil coming from an ethical source. Fish oil brands that are certified to the Marine Steward Council (MSC) Standard and displaying the MSC ecolabel, ensure harvesting and manufacturing uses eco-friendly techniques. Marketed fish oils are available in either triglyceride (TG) or ethyl ester (EE) form. Brands marketing their product as a “natural grade fish oil” are the TG form. The TG form contains a lower concentration of EPA and DHA per serving. However, some well-respected brands process the fish oil using water and clay filters to create a high-quality TG form supplement with concentrated levels of EPA and DHA fatty acids. Since the volume of EPA and DHA is desired to be higher, many manufactures use a cheaper refining method. The raw fish oil gets treated with chemicals to separate the essential fatty acids from the other fats. This process adds ethanol resulting in the EE form to get a higher concentration of EPA and DHA. The resulting product is labelled and sold as ‘a fish oil concentrate’. Price can be an indicator to the quality of fish oil supplement. Obvious bargains might not give you the recommended 1000mg in one dose; when calculating the quantity of serving required, this may not work out as particularly cost effective. Check the product label for the quantity of EPA and DHA per dose as well as the fish oil form – TG or EE. Bit of an obvious one, but be sure to check the manufacture date and expiration date on the label. Make sure you will finish the quantity before it expires! Always store fish oil supplements in a cool dark place. I keep mine in the fridge! There is a lot of talk about mercury and other pollutants found in fish and the chances of these toxins filtering down into the supplements consumers purchase. 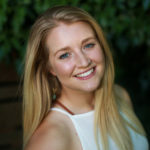 Choosing fish oils made from herring, mackerel, krill, and other small fish are less likely to contain environmental toxins as they are lower on the food chain. Manufacturing filtration processes removes undesirable toxins such as heavy metals, PCB’s, and dioxins, and testing by The International Fish Oil Standards Program (IFOS) helps to assure quality and purity. Fish oils are suitable for anyone wanting to supplement a diet to make sure they are taking the recommended daily intake of omega-3, especially if you do not eat fresh fish. Fish oil supplements are safe when taken as recommended. However, fish oil may cause some side effects such as: bad breath, belching, indigestion, loose stools, and nausea. Blood thinning medications (anticoagulant/antiplatelet drugs) such as warfarin. Fish oils might slow blood clotting and this could lead to an increased risk of bleeding. Blood pressure medications (anti-hypertensive drugs). Fish oil lowers blood pressure and taken alongside blood lowering medication could cause blood pressure levels to be too low. Birth control pills (contraceptive drugs). The effectiveness of the fish oil can be diminished by certain contraceptive drugs. If you have a known allergy to fish or shellfish, it’s advisable to avoid fish oil supplements. Try not to be tempted by bulk offers; good fish oil is quality over quantity, and not all products are created equal. Do label checking to look for the industry standards we discussed above that show the brand has been tested for purity, potency, and overall quality to help you choose the best fish oil.